Vocaroo allows users to easily record and download audio. It's best used for short recordings. ﻿Soundcloud users who have a free account can use it to upload and share audio.﻿ There are many other ways to use Soundcloud with students (see below). 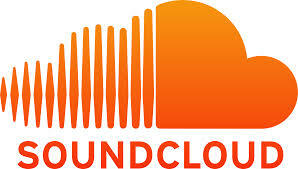 Click here to view the Teacher's Guide for the Use of Soundcloud in Class. The Free Music Archive is a library of music that is free to download and use as long as credit to the originator is given. At SoundBible users can download audio clips and sound bites for free.